Founded by mother of two and designer Leslie Pitts, Lucky Jade started with luxurious cashmere blankets and now includes a full collection of layette, clothing, and gift items. 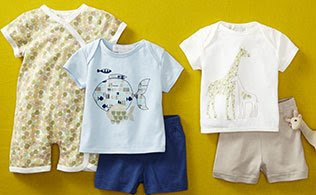 In this collection for babies, choose between bloomers, coveralls, footies and short sets in pretty colors and endearing prints. The amazingly soft cashmere/cotton and pima cotton fabrics are as cozy as it gets. 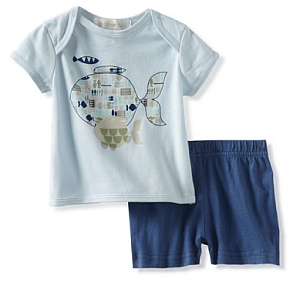 Whether buying for your little one or a looking for a gift, these items are sure to please both baby and mom.